•	Do 78% szybciej przy użyciu DirectX 11 i dwóch Radeonów RX 570 4GB w porównaniu do pojedynczego RXa 570. •	Do 42% szybciej przy użyciu DirectX 11 i Radeon RX 570 (4GB) w porównaniu do karty Nvidia GeForce GTX 1050Ti (4GB) w rozdzielczości 1920×1080 (1080p). Sam zastanawiam się co kupic za ok. 800-900zł do FHD. tylko godzinę, to rzeczywiście test XD mając na uwadze, że masz NV, to wydaje się, że masz dzikie przyzwyczajenia. odkryłem, że optymalizacja Preya jest na poziomie Dooma na Vulkanie, czyli jest bardzo dobrze. 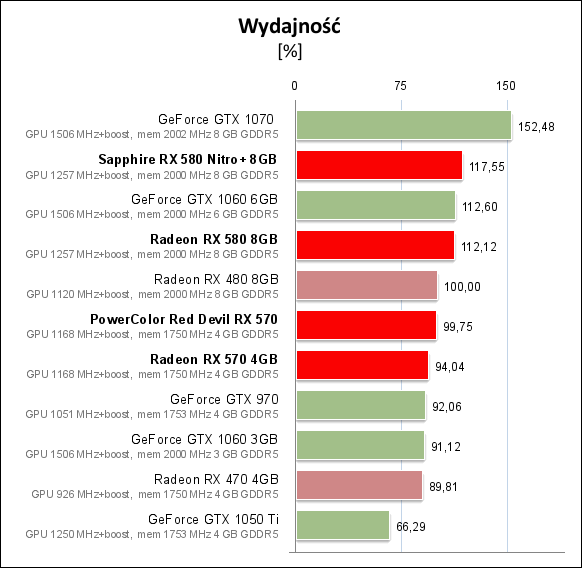 Rx570 ma przewagę nad gtx1050? Przecież to oczywiste. To tak jakby NVIDIA chwaliła się że ich Titanic ma przewagę nad rx580. Nie obchodzi mnie ze w czymstam radeon bedzie dobry, ani setki syntentycznych testow. Interesuje mnie karta do tego, w co gram. I tu rx dostaje w dupala od 3letniej karty, wcale nie topowej. Te 970 od msi mozna wyrwac za 700? Moze troche wiecej? Wcale nie bronie AMD bo naprawdę dali dupy z nowymi-starymi kartami. 1. Draw Stream Binning Rasterizer ( Source ) . 2. The rasterizer will now also support Conservative Rasterization. 3. The instruction buffers are again increased. 4. The shader units (ALUs) should support a (significantly) higher clock rate. 5. The shader units will support FP16 calculations with dual performance (to FP32) ( source ) . 6. The shader units will support Int8 calculations with quad-performance (to FP32). ( Source ) . 7. The geometry engines will increase the theoretical throughput from a triangle to 2.75 triangles (read, perhaps, only in special cases), which means 11 triangles per clock, rather than 4 as in Fiji ( source ) . 8. The ROPs are now consumers of the Level2 cache ( source ) , which is why AMD may also support Rasterizer Ordered Views (this could increase the need for space). 9. Since the rasterizer now stores tiles in the Level2 cache and also the ROPs are consumers of the Level2 cache, the capacity of the Level2 cache will certainly increase - presumably from 2 MB to 4 MB. AMD has done more things that have not been mentioned yet. In general, the architecture enhancements of GCN5 are considered to be quite potent in our forum - and at least theoretically potent (and how much theory ultimately brings in theory can only be demonstrated by practice) . This is also based on the assumption that AMD at Fiji has apparently left enormous potential: The Fiji computing performance exceeds the previous Hawaiian chip by 45% (compared to Radeon R9 Fury X to Radeon R9 390X) , but the achieved 22% performance gain (in the 4K performance index ) is rather meager - and between Fiji and Hawaii there is also an architectural leap from GCN2 to GCN3, which does not really show on its performance results. If AMD "simple" would be able to solve with the GCN5 the apparent bottleneck in the graphics chip architecture with a higher number of shader units, then the Vega 10 announcement of 4096 Shader units would be no longer "little". In this respect, the 15% gain in performance, which was last mentioned at this point, is even considered a "defensive estimate" by the graphics chip architecture (higher clock rates have not yet been included) , some expect more than just this + 15%. 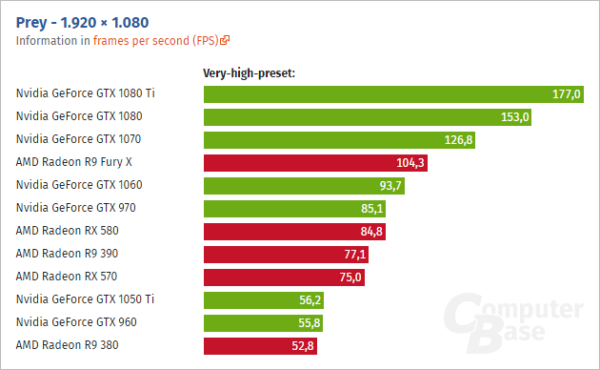 Certainly - to achieve nVidias GP102 chip, a higher performance gain purely by the graphics chip architecture would certainly be better, since even taking the clock rate gain of + 40-50% (will not be completely converted 1: 1 in performance, itself If Vega 10 scarcely bandwidth-limited out comes out) would be quite scarce. In order to reach the GP102 chip from Fiji, 75-80% more performance is necessary - a hard bread with a graphics chip with the same basic hardware data, but also the high clock rate advantage is not entirely impossible. AMD, however, will have to deliver both points - (for AMD) unusually high clock rates and an architecture advantage of 15% or (better) more. The fact that there is skepticism in this respect and that the user part of the argument on "architectural improvements" do not give anything or understand only minimal performance-effective things, is understandable, however, and must be largely attributed to AMD itself. In the past, AMD has advertised more or less every new graphics chip as "extreme" architecture improvements, although the real performance gains on the same clock and the same number of shader units often had to be searched with a magnifying glass. Especially for GCN3 (Tonga & Fiji) as well as GCN4 (Polaris) had been promised in the run-up and due to the full-bodied announcements AMDs some performance gains through the Grafikchip architecture - and was largely disappointed. From this situation, it is quite difficult to come back with the argument of "architecture improvements", since some users (understandably) switch off immediately. According to current knowledge, GCN5 seems to be the (clear) biggest leap within the GCN architecture - a remarkable achievement gain purely through the improved graphics chip architecture is therefore not only expected, but also an obligation for AMD. 1. Log in to your Bethesda.net account. 3. Download the Bethesda.net launcher and log in. 4. Download Quake Champions and get ready for the Closed Beta test. 570 GB G1 kosztuje około 850pln więc skąd ci się wzięło 1200pln?? fakt 970 dobrze się kręciły i nie referenty miały wyższe zegary ale karty są porównywalne. Po ile macie w Polsce Sapphire RX 580 Nitro + Limited Edition 1450MHz boost ?